Competition Engineering 4-Link Chassis Brackets will save hours of fabrication time! Nine mounting holes provide a wide range of adjustments. 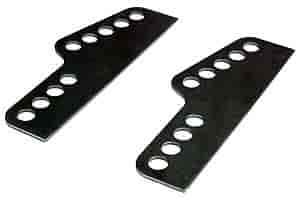 Radiused brackets are shaped to provide an exact fit with Competition Engineering Rear Frame Rails.